Discover a wondrously surreal world of magic, music, and mystery. 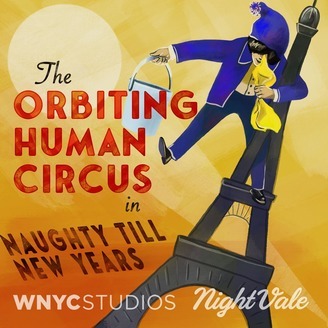 This immersive, cinematic audio spectacle follows the adventures of a lonely, stage-struck janitor who is drawn into the larger-than-life universe of the Orbiting Human Circus, a fantastical, wildly popular radio show broadcast from the top of the Eiffel Tower. WNYC Studios presents a special director’s cut of this joyous, moving break from reality. Starring John Cameron Mitchell, Julian Koster, Tim Robbins, Drew Callander, Susannah Flood, and featuring Mandy Patinkin and Charlie Day. 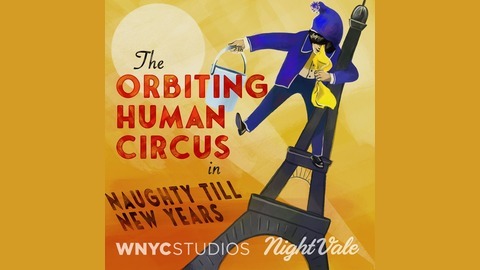 Season one of The Orbiting Human Circus (of the Air) is a co-presentation of WNYC Studios and Night Vale Presents. Hi friends! We've got a special message for you from Julian — and a preview of a wonderful new show from OHC's own John Cameron Mitchell. Anthem: Homunculus features 31 original songs delivered by 40 actors (who hold 7 Tony Awards®) and 30 musicians on one unconventional audio stage, as its characters struggle to live after loss, love after hate, and survive in a world flirting with Apocalypse. (Glenn Close sings a punk song nailed to a cross, Patti Lupone is a junkie nun singing bebop, Cynthia Erivo is Joan the Baptist spreading the Gospel of the Virgin Mary.) Created by John Cameron Mitchell and Bryan Weller, Anthem: Homunculus is the first in the new anthology series from Luminary Media and Topic Studios and is available only on Luminary Premium. New episodes will be released weekly, so be sure to subscribe on the Luminary app to keep listening! We hope you enjoy it — and stay tuned here for more OHC soon!